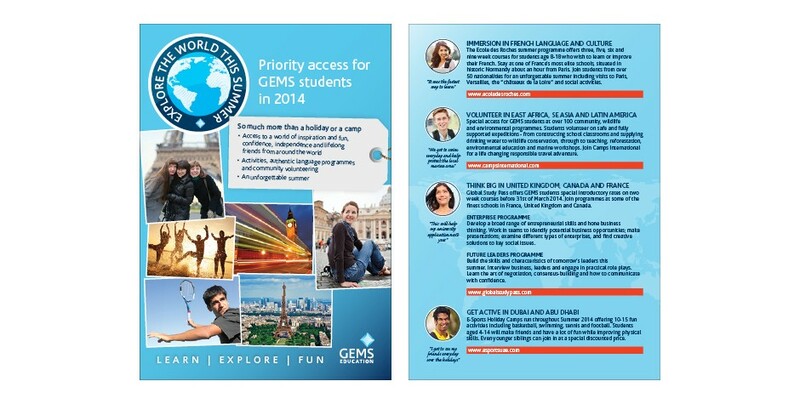 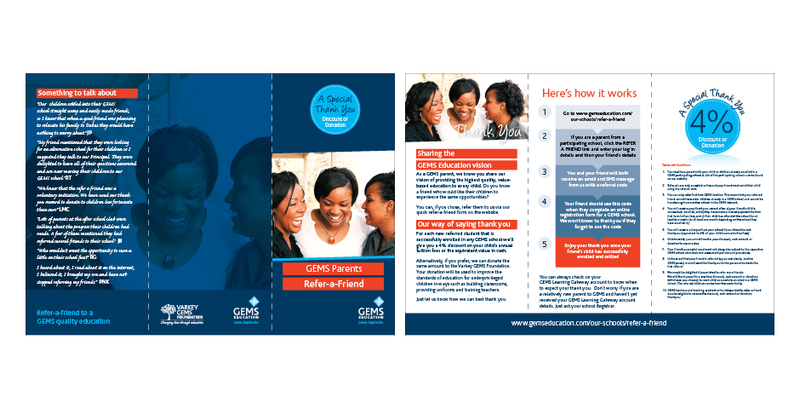 I worked with the global marketing team at Gems Education on a number of outreach materials. 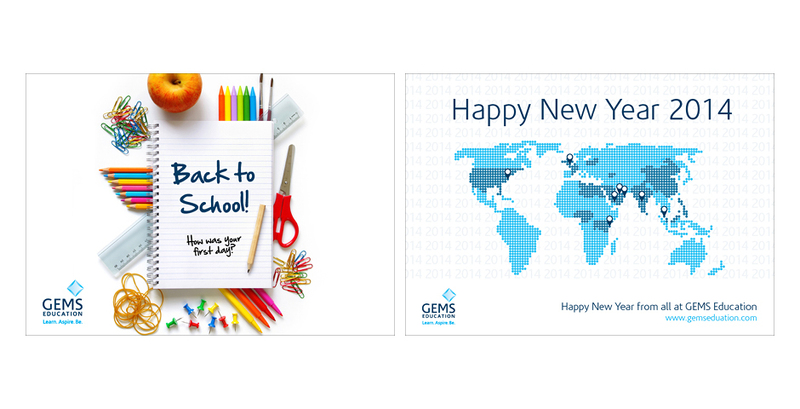 Both online and offline. Online outreach included designing social graphics and cover photos for their social channels as well as email graphics. I provided design for a number of high impact print projects which included folded flyers and leaflets which were subsequently used across the UAE.